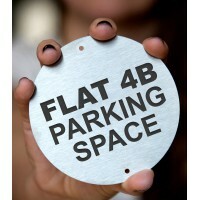 Pre-Defined Numbers 1-50 laser engraved onto 50 seperate stainless steel tags in one pack. 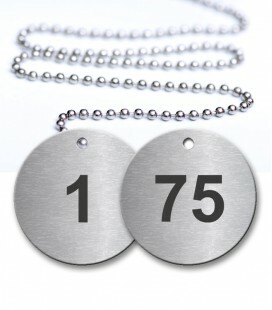 Choose from 5 circular tag diameters, click ADD TO CART and receive our high quality product within 48 hours of your online order. 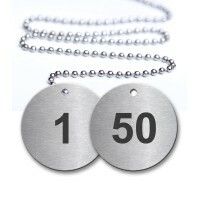 Each Numbered Tag Pack includes 50 ball chain attachments. 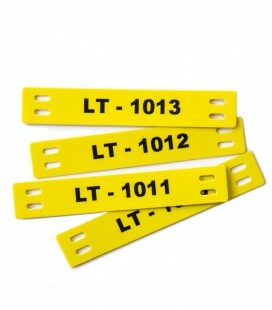 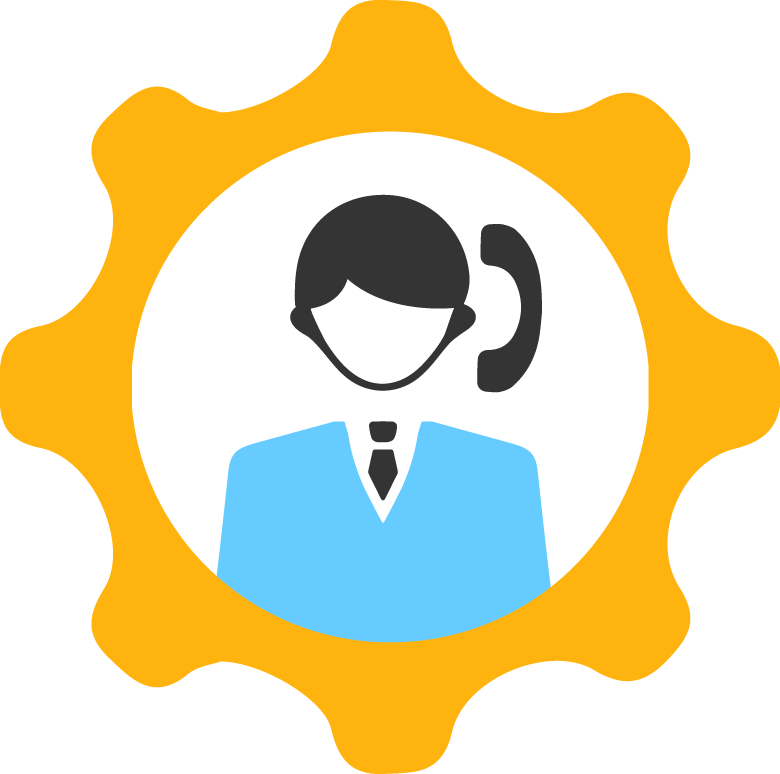 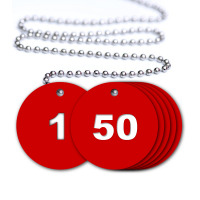 Do you need to order large volumes of Numbered Tags quickly? 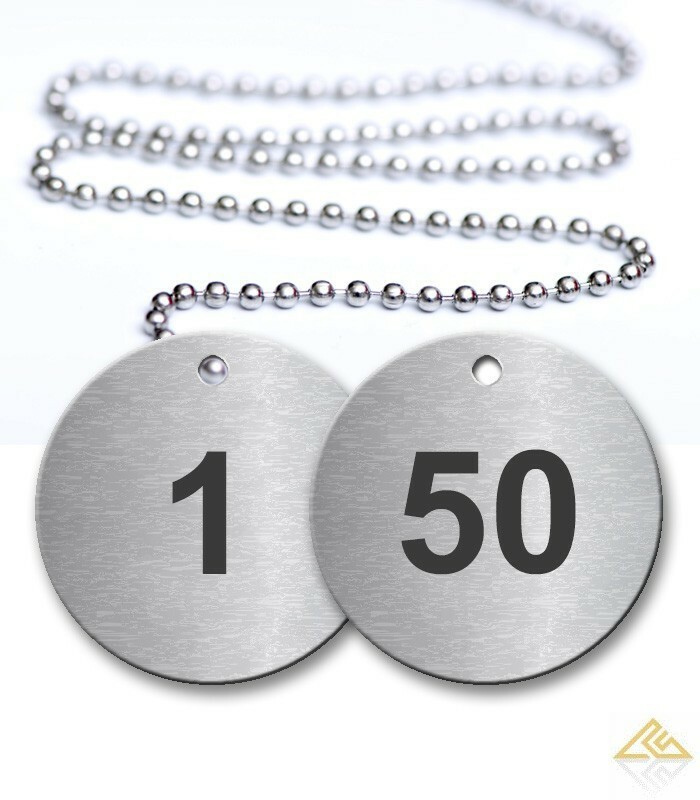 Lucas UK strive to meet the demands of our clients and we are offering a new range of online high quality pre-defined laser engraved stainless steel numbered tags in packs. Each pack of 50 pre-defined numbered tags have been laser engraved into high quality grade 316 stainless steel, certain to withstand extreme industrial indoor or outdoor environments. 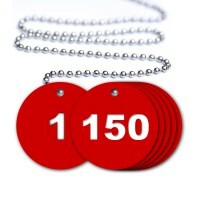 Order your metal numbered tags online and you will receive them within 48 hours of your order. 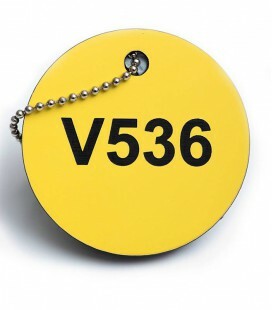 Lucas Products UK cover all your numbered tag needs by offering you 5 circular diameter sizes which can be used valve tags, equipments tags, assets tags or identification tags above all. 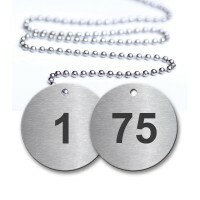 Laser Engraved Numbers on metal tags in packs ready to go! FAST TRACK! 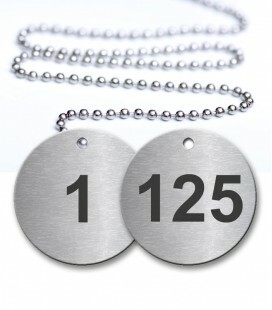 Our new range of Sequentially Pre-Defined Numbered Stainless Steel Tags in packs of 50.